On April 6 of last year, Jaskirat Singh Sidhu was driving distracted as he approached Highway 35 behind the wheel of a semi-trailer truck, and a bus collided with it as he drove through the intersection near Armley, Saskatchewan, killing 16 on the Humboldt Broncos minor league hockey team. Nearly a year later, and after being charged by the Royal Canadian Mounted Police in July with 16 counts of dangerous operation of a motor vehicle causing death and 13 causing bodily injury. In January, he pleaded guilty to the charges. 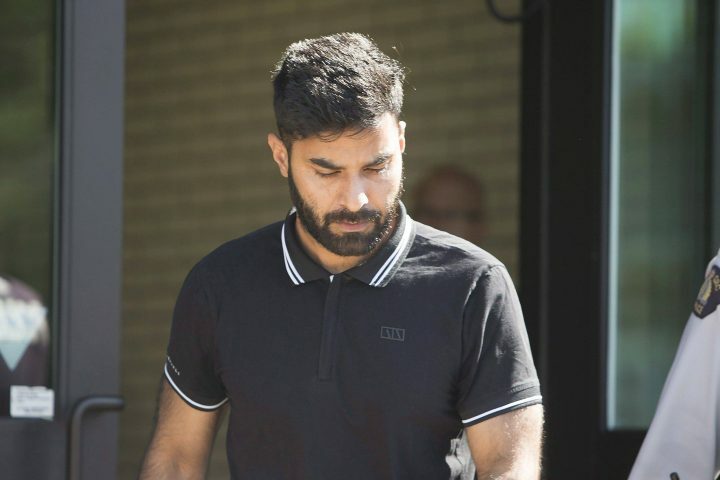 On Friday Sidhu of Calgary was sentenced to eight years in prison by Judge Inez Cardinal, who said she approached the ruling noting his remorse and guilty plea but had to consider the number of those who had died and faced challenges in their lives due to sustained injuries. Prosecutors called for Sidhu to be jailed for 10 years and the defence said similar cases resulted in a sentencing between 1 1/2 to 4 1/2 years. The judge said she believed Sidhu to be sincere in the remorse his lawyers said he has. During the sentencing hearing in January, it was detailed that the Sidhu had the truck moving along between 86 and 96 k.m. per hour when he passed four street signs and an oversized flashing stop sign warning him of the upcoming intersection. The Humboldt Broncos, which has continued playing hockey this season with a nearly completely new line-up, issued a statement after the sentencing marking the day as “a big step in the healing process” for the team, families and community. Judge Cardinal read the victims’ names ahead of the sentencing statement.